When I first heard The Last Werewolf mentioned, I guessed it was some cynical attempt to glamorize werewolves, maybe make them “hot” or contemporary. We’ve all seen what’s recently been done with vampires and zombies. I saw enough recommendations from people I respect to convince me to give it a try, and I’m so glad I did. 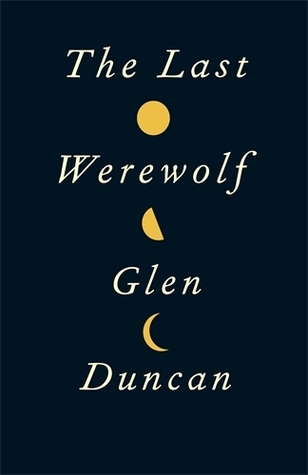 The mythical aspect of werewolves is right up front from the beginning, and Duncan handles that aspect with seriousness and intelligence — more like Anne Rice’s vampires than those of Stephanie Meyer. Where the novel most stands apart, though, is in its literary qualities, the language itself. I’d read nothing by Glen Duncan before, but found myself immediately impressed by his style, attitude and wit. I mentioned Anne Rice’s vampires. This reminds me more of Rice’s Mayfair Witches series, actually. Better than that, though. It’s a story of long stretches of time, colorful characters, exotic locations, liquor, books, money and mythology. The Last Werewolf goes from celebrating raunch and gore, to more serious philosophical considerations of love and life and death. This is certainly among the best few books I’ve read in the past five years, and I’m very pleased to hear Duncan’s working on a sequel or two. I love this novel, and give it my highest recommendation.